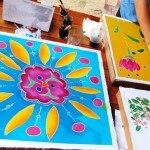 It was another spectacular high season for our homestay programs. Respectful, interested and delightful guests participated in a variety of programs that allowed for meaningful cultural experiences and interactions. Our long standing homestay programs such as Ban Talae Nok Village continue to succeed and build their capacity for future success. We continue to engage local communities to be the stewards of their culture and environment, through capacity development and alternative means of income. The original goal of Andaman Discoveries continues to be met as the bridge between these homestays and interested guests who want to come to Thailand and enjoy a truly meaningful experience. 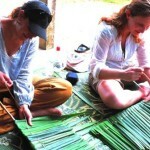 We are so happy that our homestay programs are still a constant and staple of Andaman Discoveries. It is truly a testament to all of the wonderful things that has been happening over the years. 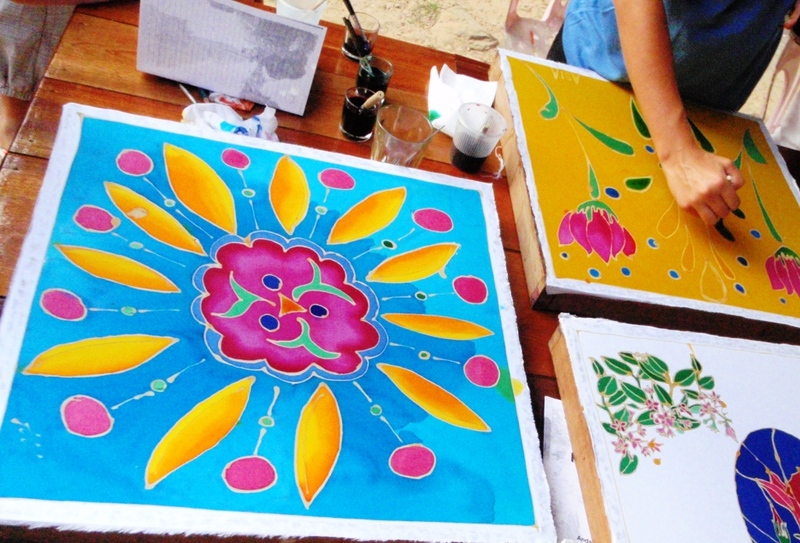 The village of Ban Talae Nok offers activities that engulf guests into their local way of life. 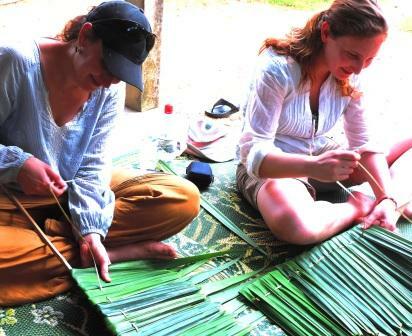 Like making Thai snacks and learning how to weave roof panels out of a local plant. Guests also get to experience the untouched Gam islands with their local guides. They even get to have a delicious packed lunch on the beach overlooking the crystal blue waters. 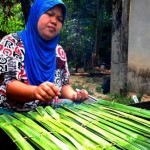 If guests want more of an eco-adventure they can head to the island of Koh Phra Thong and stay with the Moklan people in the village of Tung Dap. The villagers truly live in harmony with nature. Guests can learn how to make squid traps, collect local vegetables, collect crabs and clams in the mangrove forests and take a tractor to the beach to learn about the local way of tin mining. Andaman Discoveries puts 50 percent of its profits back into the communities; this is on top of the communities being paid out for activities that they have put in place for the guests. The community funds are used to benefit the whole village, not just those involved in the homestay, encouraging solidarity and cohesiveness to the village as a whole. For example, in Ban Talae Nok Village they built a new Mosque and also used the community fund money to sponsor an important celebration, like children’s day. They would otherwise not have the opportunity to enjoy these fun and exciting days that bring the community together. As guests of Andaman Discoveries, you are truly contributing to the goal of the homestay programs being a supplemental source of income within the villages!